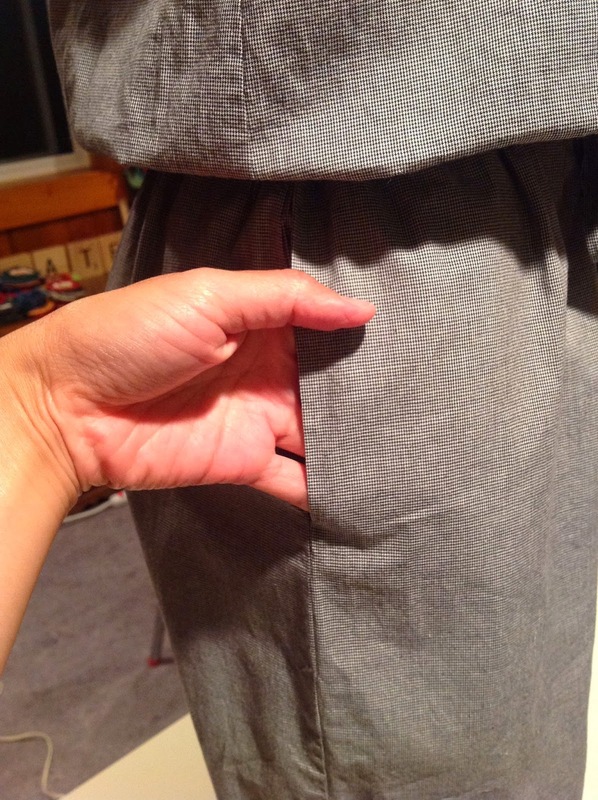 I picked up this mini houndstooth check fabric at the Bolt sale this weekend and decided to make a jumpsuit. 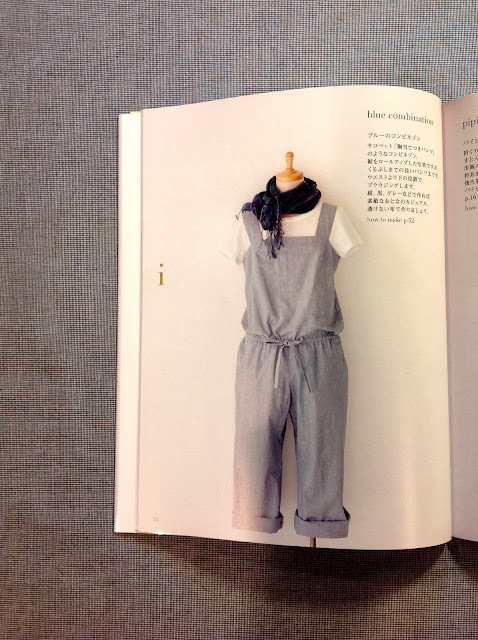 The pattern is from Machiko Kayaki's book Dressmaking at Home. I was drawn to the styling in the photo and thought it would be a great piece for summer, worn with or without a tee or tank. 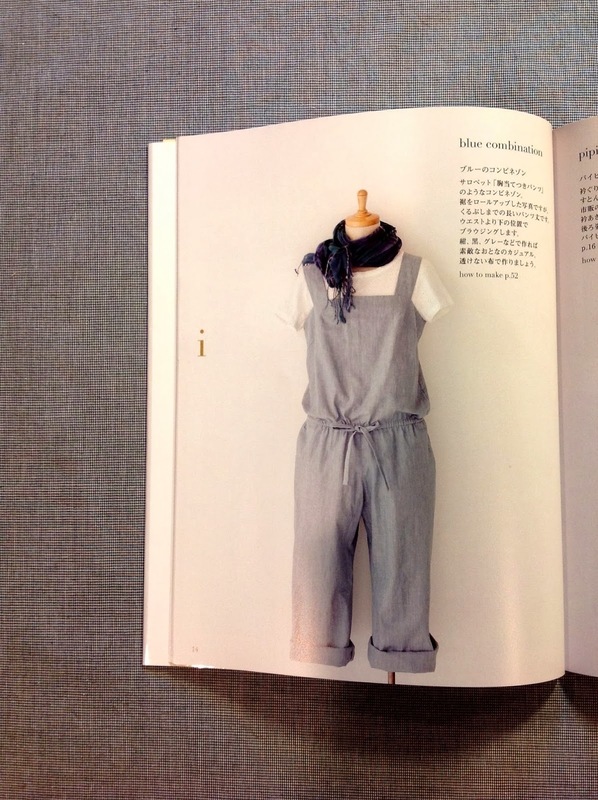 The jumpsuit looks sort of sad and wrinkled in the photos, but it's actually pretty cute. 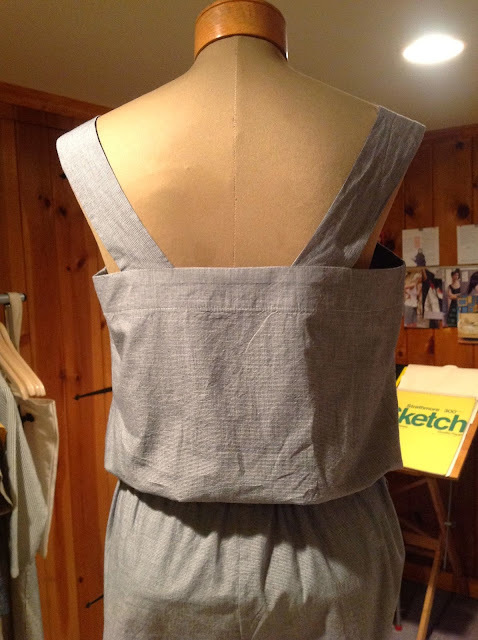 I love the wide straps, the on seam pockets and the tie waist.